You ever have something so delicious at someone else’s house that you can’t wait to make it yourself? That’s what happened to me this week. 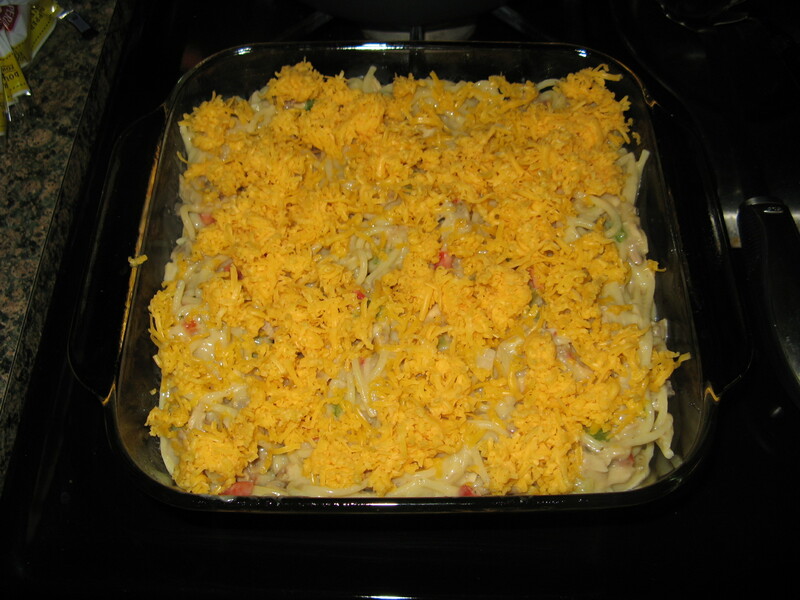 Over the weekend I had Chicken Spaghetti casserole at a friend’s house and instantly knew I had to make it myself. So, when I had some leftover chicken from dinner the other night I knew exactly what I would be using it for. 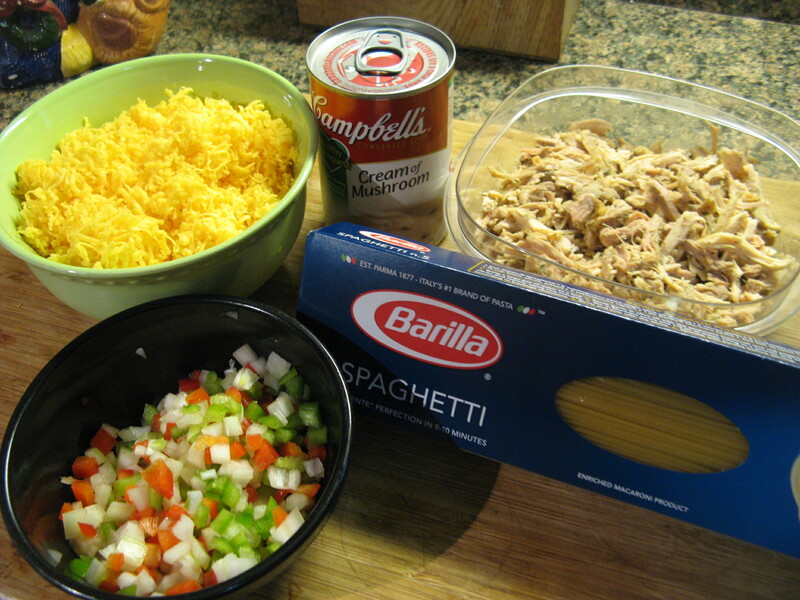 First up I got all of my ingredients prepped and together: 2 cups of shredded cheddar cheese, 1/3 cup of diced green and red bell peppers, two cooked chicken thighs shredded, half an onion diced, a can of cream of mushroom soup and spaghetti (I used only half of this one pound box). 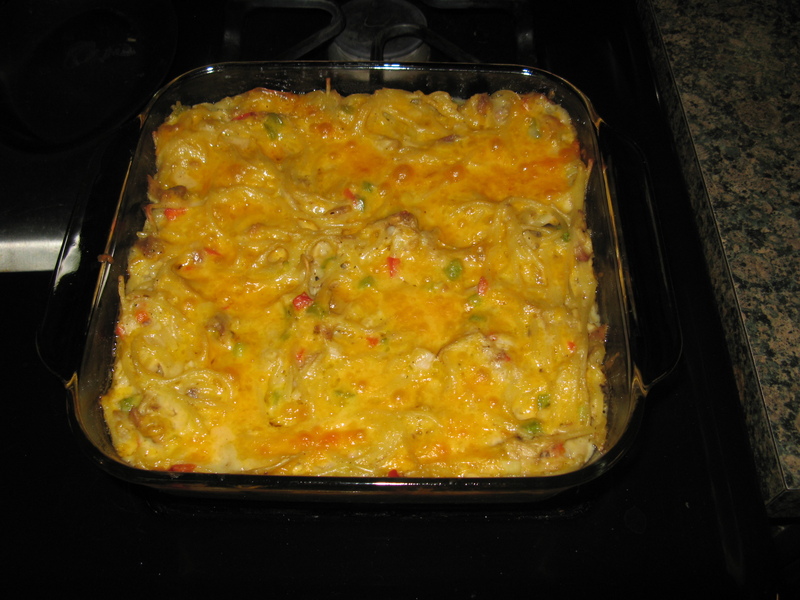 I should note that my measurements versus the original recipe are different since I opted to halve my version. 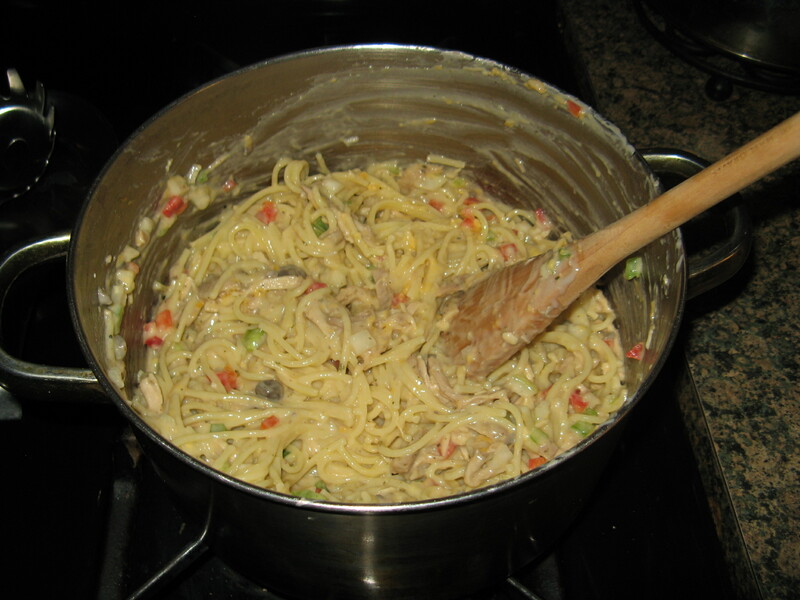 After cooking the spaghetti – I broke it into thirds prior to adding it to the boiling water- I mixed it with all of the ingredients minus 1 cup of the shredded cheese. Prior to draining the spaghetti I reserved about 2 cups of the water from which I added about a cup to the mixture so it wouldn’t be too dry. And finally after baking it for 30 minutes in a 350F pre-heated oven it was ready and just as delicious as the first time I had it! I love this dish too! I think my Mom discovered it similar to how you did, but at a potluck at work, lol.